I know I shouldn’t have waited so long, but I’ve had a lot going on lately and really thought using Dashlane’s Password Manager would be a breeze. I was in for a surprise when I finally got around to doing that today. The Password Manager is really disappointing but what’s even more disappointing is how difficult it is to change passwords individually using Dashlane’s ios app. It shouldn’t be this hard. Apple’s built-in Keychain is faster and easier…but both have a lot of limitations…so I’m hunting for a better password manager that works well on ios devices. Which is sad and surprising since I’ve always been one of Dashlane’s biggest supporters. 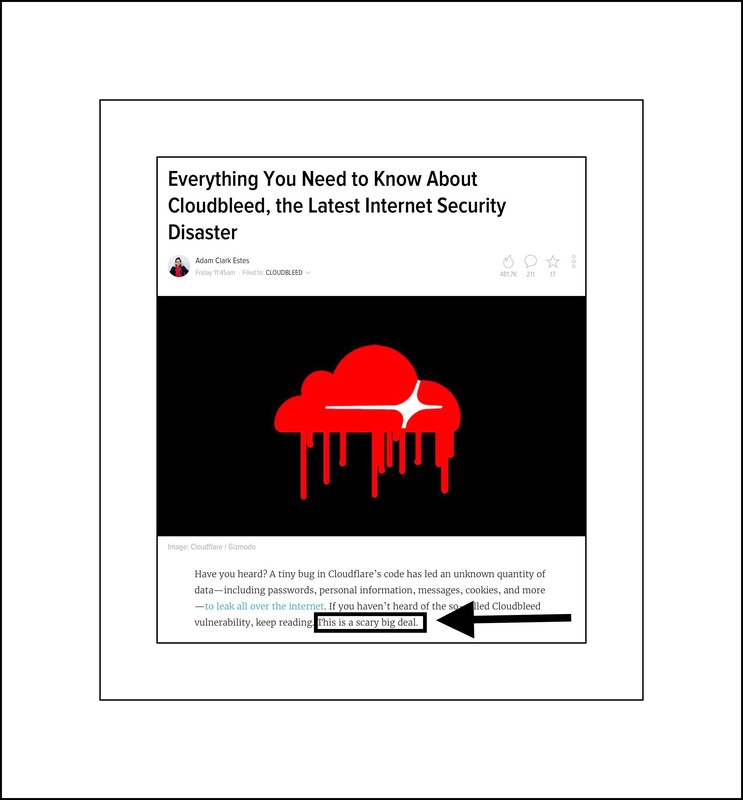 In case you missed it, Cloudbleed, which occurred a few weeks ago was another potentially massive data leak of personal information…early reports suggested it might be on the same scale as Heart Bleed. You can read more about Cloudbleed here if you missed it. 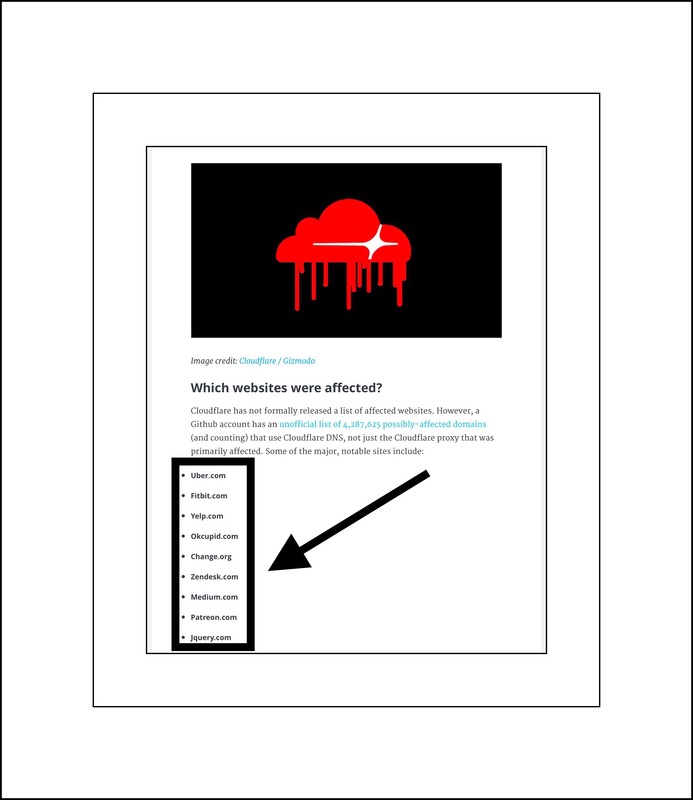 The news broke about the Cloudbleed leak online Feb. 23rd. For several days following the first reports speculation about how bad these leaks might be ran rampant online. But in the final analysis it appears that this potential leak was more that…meaning that it had much more potential to be bad than it actually was in the final analysis. The article I linked to above was published on March 9th by Forensic Magazine. In it they provide a much less scary analysis of what’s believed to be the final impact. This TechCrunch article published the day the news broke is more representative of the kinds of questions that were being asked in the early stages of the news stories. While the worst doesn’t seem to have been realized, I do wonder a little if there might not have been more damaging data that got into the wrong hands than Forensic Magazine concludes. My reason for suspecting this is because I received a letter from Prana, a company that makes great lines of sustainable activewear for men and women that I’ve shopped at for several years. In their letter I was told that earlier in February, around the time that the leak may have been actively occurring my personal data as well as a large number of other people’s was hacked. Prana immediately hired a cyber security firm to help them identify the scope of their problem, figure out the best way of contacting customers and how to proceed with securing everything again. The timing to me just seems too coincidental to not be related. So in addition to updating my Prana account credentials, I decided to revisit other accounts and at a minimum deal with the ones that I know aren’t very secure…but ideally I was hoping that Dashlane’s recent upgrades would provide me with the tools I’d need to easily change all my user account passwords. I wasn’t really worried because I was so certain that Dashlane’s recent upgrades would make my job pretty easy! But I was in for a rude awakening! Dashlane has slowly removed most of its’ best features for ios users…leaving a sad shell of an app that’s just lackluster in comparison. I used to be one of Dashlane’s most enthusiastic supporters. But the recent Cloudbleed incident forced me to recognize that it just isn’t great anymore. It’s maybe average as far as password manager apps go now or quite possibly even below average. I can’t say for sure until I check out some of the other current offerings. It’s quite possible however that for new users who weren’t aware of how great it used to be, Dashlane may still meet their needs. They may even love it if it’s their first time using a password manager…because there are a ton of great benefits you’ll see if you begin using one. 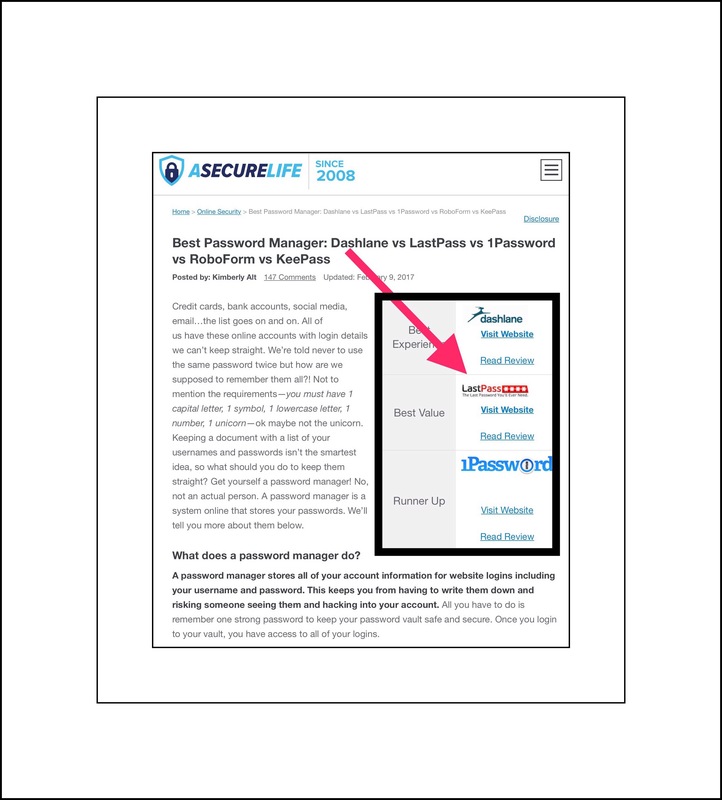 Recently I had the opportunity to try out LastPass on an Amazon Fire tablet because Dashlane didn’t run on it. I’d not ever tried any of the LastPass mobile apps. I had tried out LastPass in a computer in its early days, and while I thought the concept was great, the learning curve was steep and I finally gave up on it. I’d read that LastPasses’ mobile apps weren’t great either. But I have to say, for the little bit of time that I used it, LastPass seemed to be pretty feature packed and user friendly! I was pleasantly surprised! I was pretty shocked to discover that on Dashlane’s ios version you cannot easily change a single password using the app! If you search Dashlane’s support Pages you can’t find anything that shows you how to change a single password. Actually there is one bit of help…the iPad tutorial video…but it shows you the old method in the old version of Dashlane that used to work. In fact, the method shown isn’t even possible now because they keep taking features away from the ios app and that method was one of them. There’s are no helpful tutorials anymore for ios…it’s very hard to figure out how to do anything. After struggling to find a way to change a single password, it turns out that there is still a mechanism for doing that now…but I had to discover it on my own and it usually doesn’t work. By usually I mean that it’s never worked for me. So you end up having to generate your own password, changing it manually…and then adding it to Dashlane as well as also updating it in Apple’s Keychain. That’s a lot of effort required on the user’s part for what is supposed to be the best password manager around! 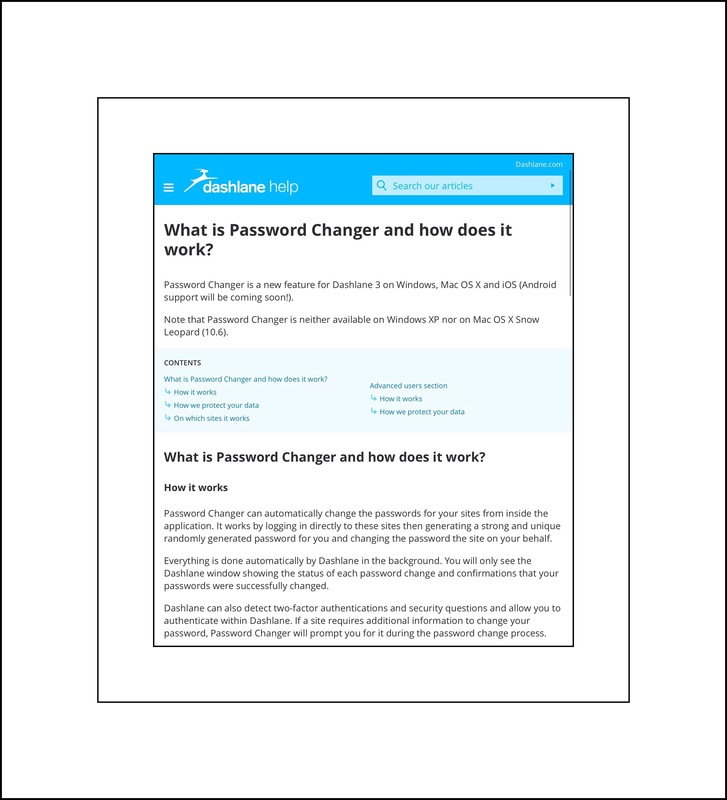 You can use the new Password Changer for batch changes which should be great…but it doesn’t really work either. It’s success rate is about 20%…meaning if there are 8 I try to change…2 will be changed. But for those there’s no way to set your preferences for password generation…so you’ll end up with these horrible combinations of mostly symbols. I think it’s this same lack of ability to change your preferences for auto-generated passwords that causes the automatic method to fail. Dashlane seems to be stuck in the mode of only generating 14 digit passwords containing only symbols…which doesn’t meet most websites password requirements. I found an old email I wrote to Dashlane over a year ago complaining about this problem, but they never addressed it. Worse was that they gave me a lot of runaround and explanations that didn’t pertain to my problem…by asking me to jump through all sorts of hoops to test out things that didn’t matter which, if I had complied with, would have wasted at least a half days’ time for me. So that’s the biggest problem. You can only use Dashlane to automatically change a few passwords…pretty much only if the site will accept a 14 digit password containing all symbols. You can use the search bar to find passwords but don’t bother categorizing them because you can’t search for them that way…that function is broken. You can’t search alphabetically anymore either…it’s broken too. If a password is not on that batch list and it doesn’t fall within the 20% that work, you can forget about changing it at all as far as Dashlane is concerned. You’ll need to change it yourself and then go in and add it to Dashlane. Then also change it in Apple’s keychain too. Other deficiencies…it used to save receipts but doesn’t anymore. It used to save your password history…but no more. It used to let you login easily to any account using their browser…but now, you’ll need to copy and paste the web address to do that. If you use Dashlane on a computer you can see all of the passwords that are reused or have other security problems and change groups of them. There is no way of finding this in the ios app. For example, I’ve reused an old password from my pre-Heartbleed Days about 50 times. But I can’t see those in the ios version…and since I no longer use a computer at all, I need to find an easy way of identifying and changing those passwords. I suspect a different password manager may be the answer. So I’m back to looking for a new password manager. Below are a few of the reasons why. It’s good for sharing passwords with someone else who also has Dashlane. I like being able to sign into the app using Touch ID instead of having to enter my PIN or master password. I like having a master data base of my passwords but then Apple’s Keychain gives me that too and it’s free. I like being able to save information in secure notes. The only other tool I thought I had to do this was Evernote, but I need to use a computer to encrypt the information…it can’t be done on an iPad…although once encrypted it can be viewed on an iPad. But I just remembered that when Apple updated the Note’s apps they added that feature! I’ve never used it but will give it a try! It gives me a faster way to look up my credit card numbers than Apple does…but then Apple will almost always fill in my credit card information for me automatically so I don’t really need this feature very often. Dashlane is great about sending me email alerts for important new security problems online like Cloudbleed. 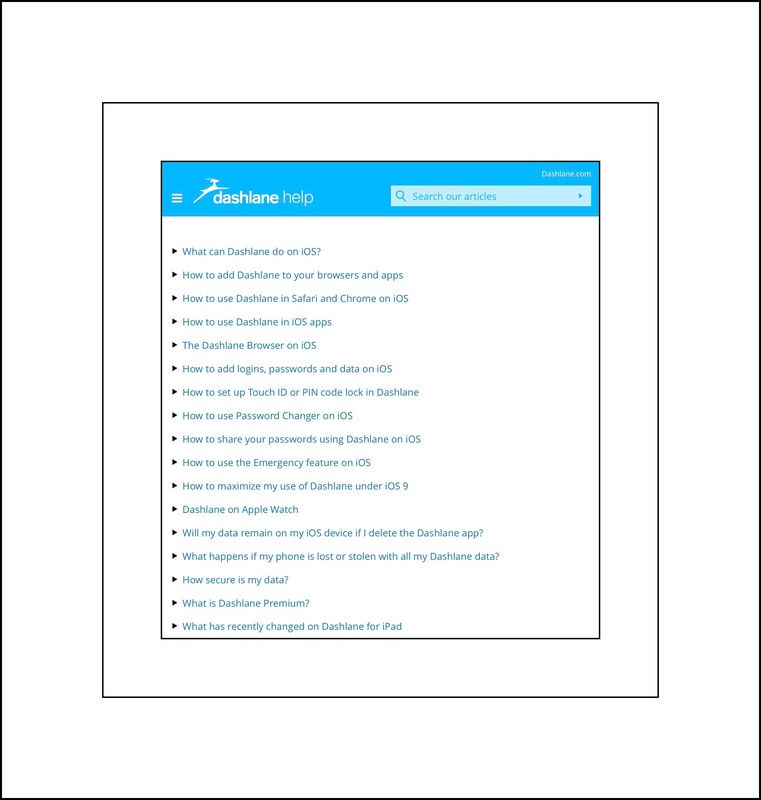 Link to Dashlane’s support articles for ios…a lot of fluff but not a lot of content…and notice there’s not an article on how to just change one password…without using the Password Changer which only works for a few websites! 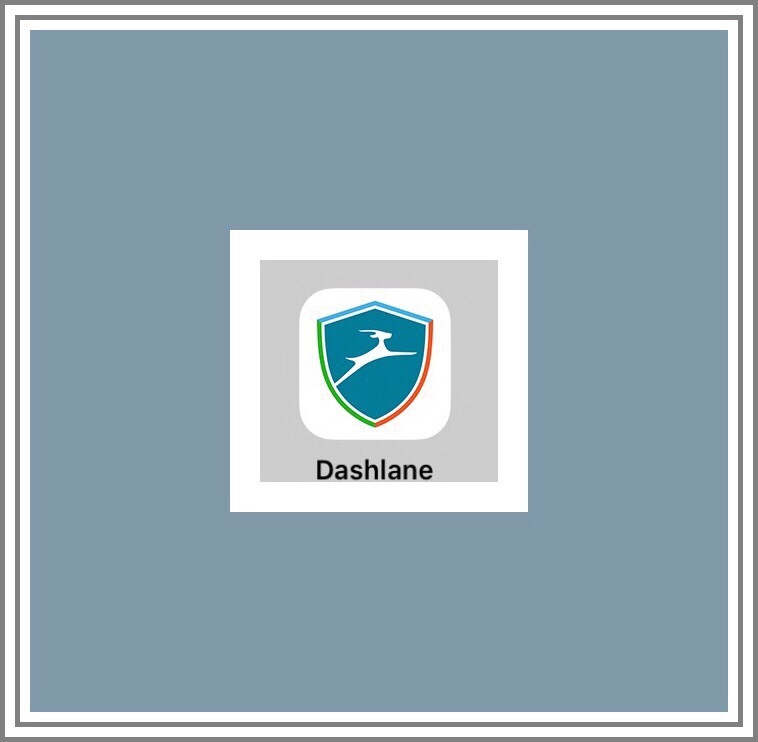 Here’s a link to Dashlane’s videos webpage and the iPad video I mentioned above that shows the old app. In about the middle of the videos page are all of their video tutorials. The iPad video is really old…the iPhone video is short and not very useful and those are the only 2 videos for ios devices at all! Even the Android OS has more…3…despite the fact that Dashlane came out with their Android app at least a year after their original ios version. If you’d like to read other’s comments, or leave a comment yourself, please do so by scrolling way down this page…past my bio, past the WordPress ads, and past the Related Posts section…to the little Comment box. 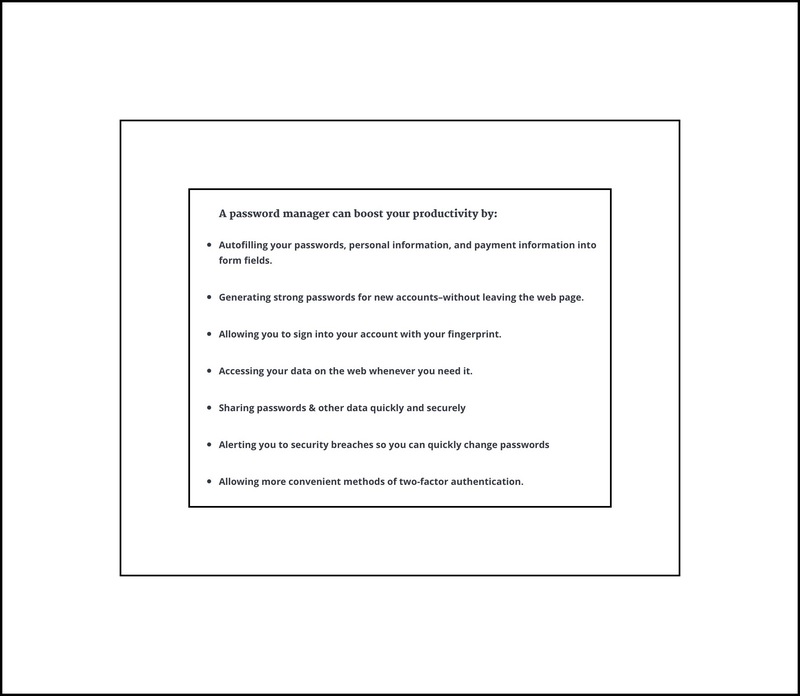 This entry was posted in Dashlane, Dashlane's New Password Changer, Tech Tips and tagged Cloudbleed, Dashlane, Dashlane password changer, Dashlane Password Manager, ios password managers. Bookmark the permalink. Hi vasjewel! My name is Malaika, and I’m the Community Manager at Dashlane. I really appreciate the time and effort you put into this post about Dashlane. It’s feedback like this that helps us improve our app. I’d also like to address a few of your concerns as best as I can. First, I read that you are having trouble changing passwords on the iOS app. First, I’d like to apologize for not having instructions on how to do so in our Help Center. I’m working closely with our Customer Support team to get instructions up as quickly as possible. In the meantime, the best way to change passwords within the app is to use our Password Generator under the “Tools” section. You can generate a password of any length, and with your choice of digits, letters, and symbols. The Password Generator also has a “copy” button that will save that generated password to your clipboard and easily paste it in the credential you would like to update. I hope this helps clarify how to change a password on an iOS device, and as I stated before, I’ll do my best to add these instructions to our Help Center as soon as possible. Secondly, you’re right. We don’t have as many iOS tutorials available, mainly because our app continues to change with every update, rendering any previous tutorials moot. Those videos were also costly and time-consuming to make, and with a small team, we found it difficult to prioritize. However, I’ve been making a concerted effort to create blog posts with detailed instructions on how to use specific features or perform specific functions, like changing a password on an iPad. In these blog posts, instead of having a video, we’ve started using GIFs that illustrate every step of the process. I will personally make a “How to change your passwords in Dashlane” (on all supported platforms) my priority in the next few days. I also wanted to address your concern about Password Changer. It’s a useful feature that takes a lot of manual labor to expand and maintain. With websites getting breached almost every day it seems, websites are also constantly changing their password requirements, which causes us to redo that script. The good news is that we’re actively working on a making this process more streamlined and also updating our password generation algorithm. We’re hoping to have that update available this year, and I welcome you to join our Beta program to help us test it out! Finally, I’d like to address your concerns about our Support Team. I sincerely apologize for your poor experience, and I’ve already notified senior members of the team about this. While we have made a lot of improvements recently, we still have a long way to go to ensure that every user’s issue is addressed in a timely, effective manner. I can assure you that the Support Team and I will continue to work together to continue making necessary improvements. Hopefully, I addressed your biggest concerns laid out in your blog post, but I’d be more than happy to answer any more of your questions or concerns via email–that way, I can also loop in other members of my team if necessary. I’ve included my email address in the form above. Thank you again for expressing your feedback, and I look forward to working with you to resolve these issues.